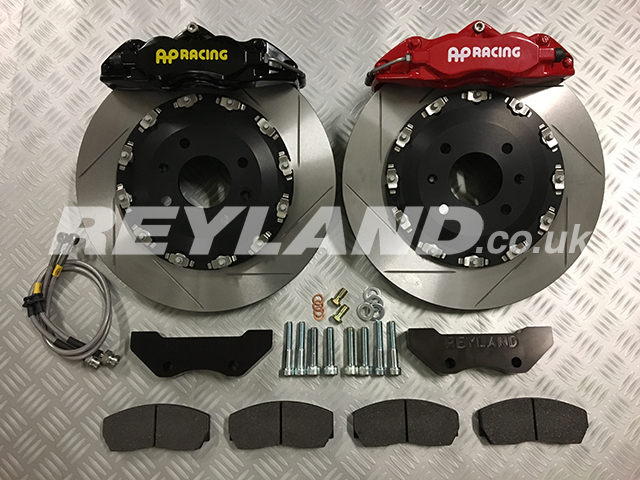 The Reyland Track 330 front brake conversion features 4-piston AP Racing CP9200 calipers, two-piece 330x28mm Reyland precision ground discs and Reyland mounting brackets and bells. The kit is supplied with all required parts including discs, pads, bolts, brackets, braided brake hoses and unions. Fits inside that OE wheel. 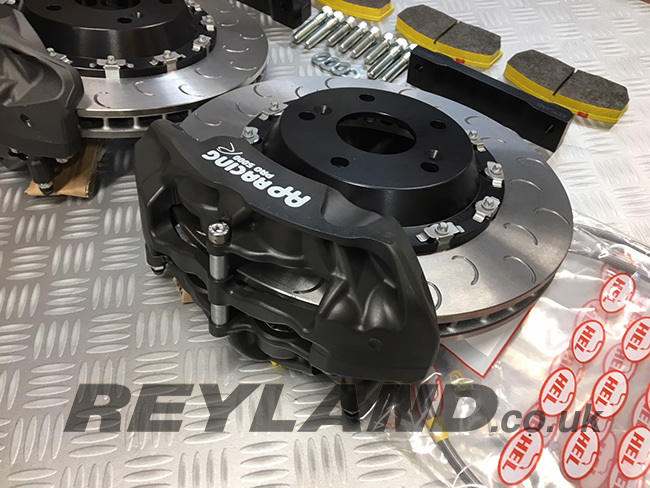 The Reyland Track 330 front brake conversion features 4-piston AP Racing CP9200 calipers, two-piece 330x28mm AP Racing discs and Reyland mounting brackets and bells. The kit is supplied with all required parts including discs, pads, bolts, brackets, braided brake hoses and unions. Fits inside the OE wheel.